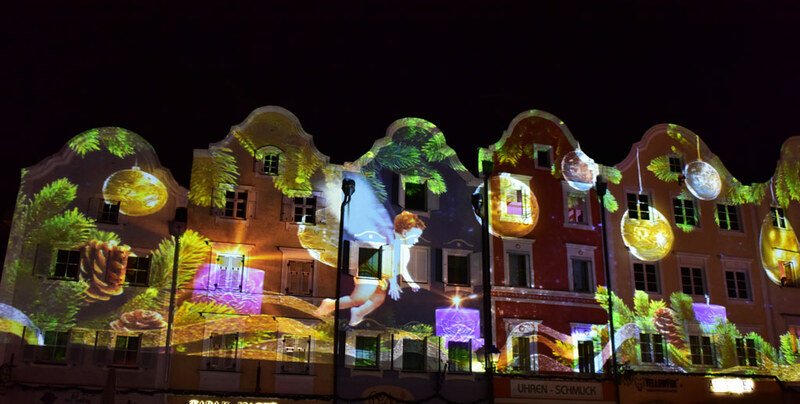 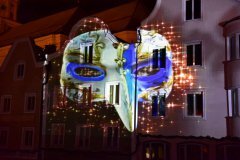 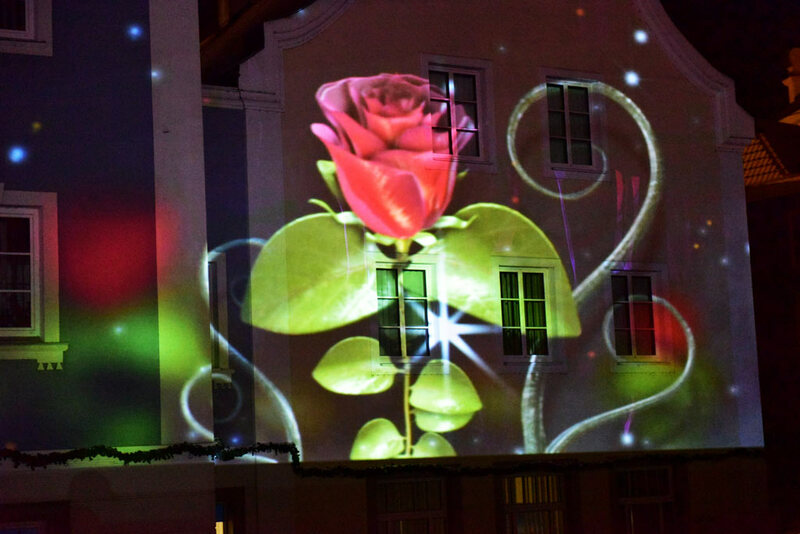 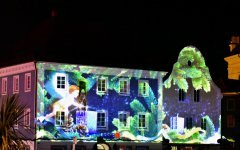 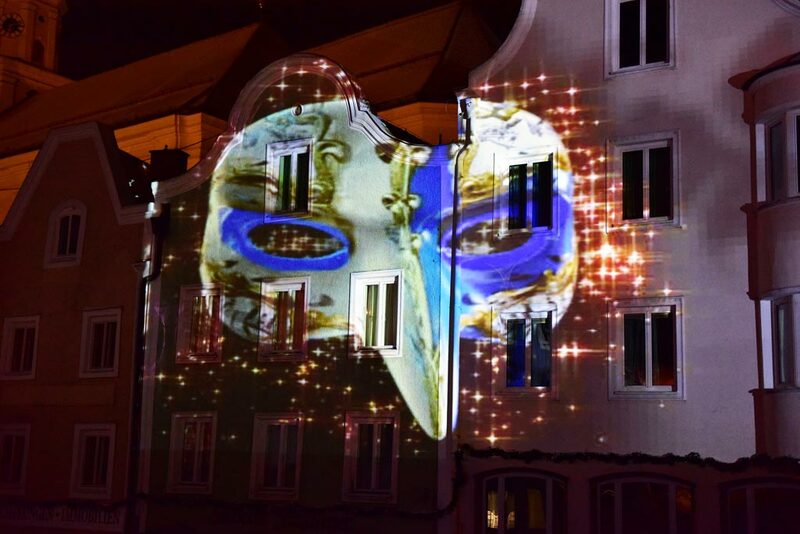 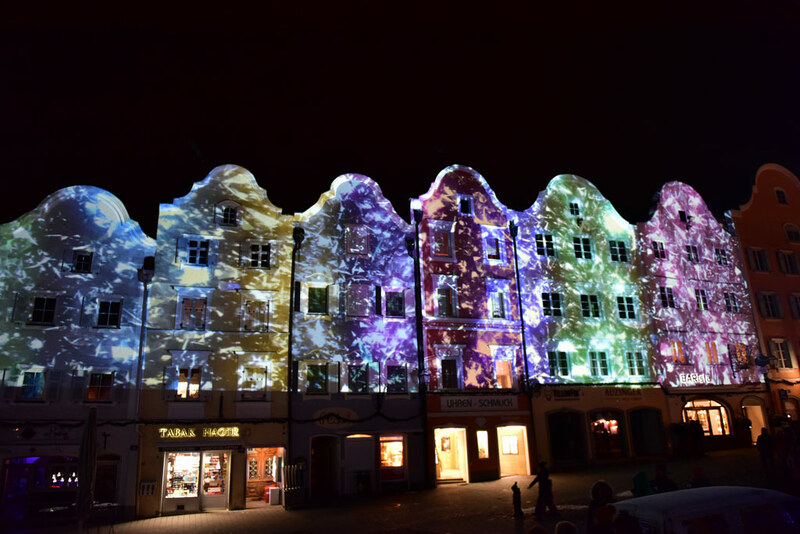 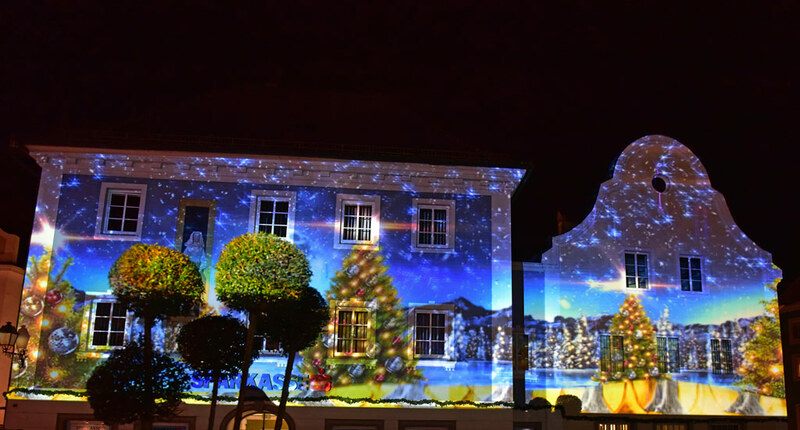 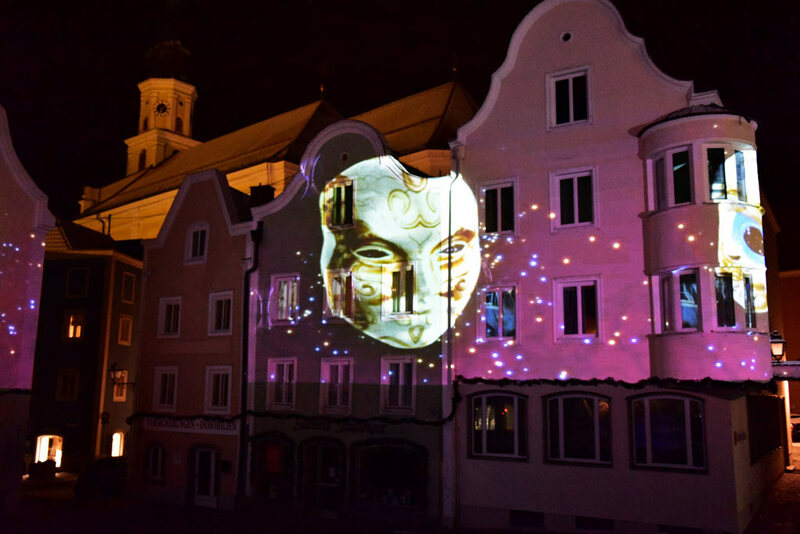 Like in the previous winter season the Austrian and German cities Schaerding and Neuhaus, the 'Lichtspiele' were presented and took place between November 13th, 2015 - February 14th, 2016. 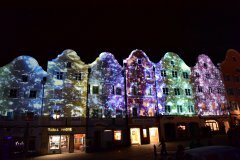 The market place of Schaerding was one of six stations where visitors were told fascinating and colorful christmas and winter stories on the surrounding buildings. 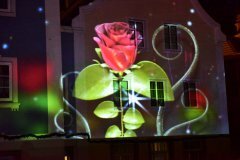 For these video mappings HB-Laser used six video projectors, which were controlled by two special Titan multimedia workstations. 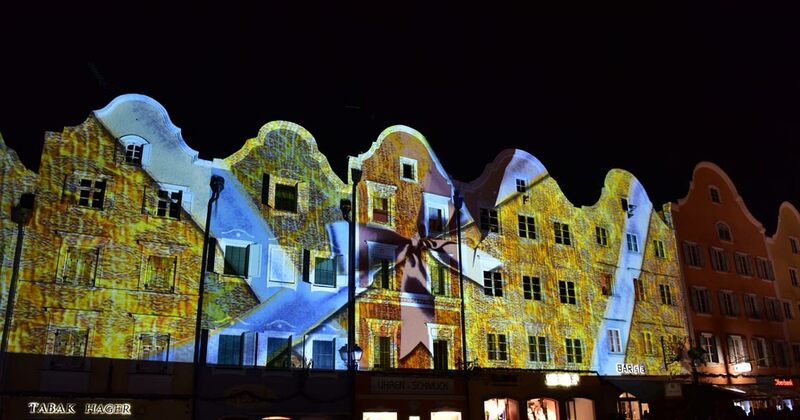 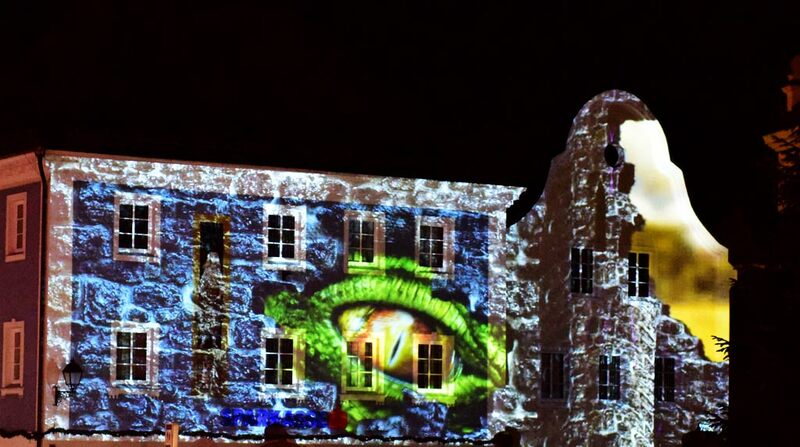 Already in the 2014/2015 season HB-Laser constructed an own tower on the market place to integrate the projectors. 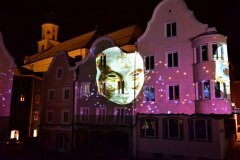 The shown fantasy world was accompanied by a fulminant musical composition. 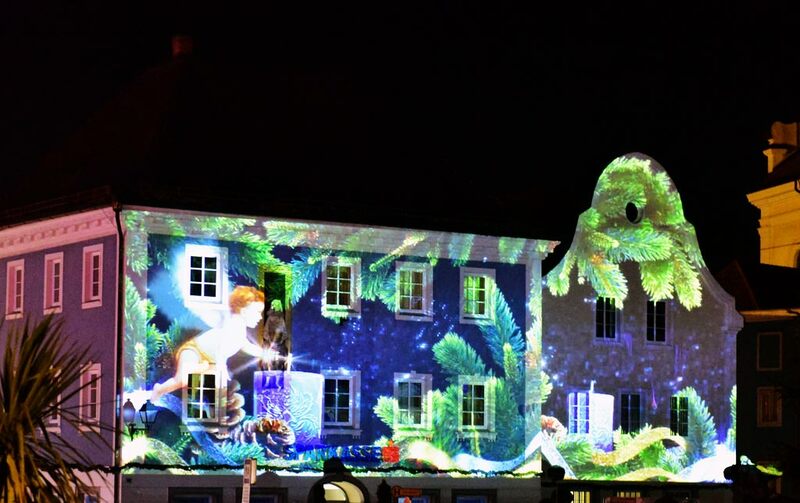 Further places of the Lichtspiele were the Neuhaus Castle (special light animation), the old bridge between Schaerding and Neuhaus (light animation), the 'Magic Carpet' (interactive projections on the ground), the Orangery Schaerding (colorful illumination of the plants) and finally the Jahnpark Schaerding (lighting effects and mysterious noises).